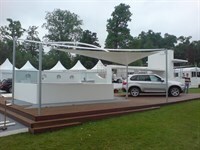 TensileFabric was asked to produce (on a low budget) a simple kite sail design for an exhibition at this historical site in London. 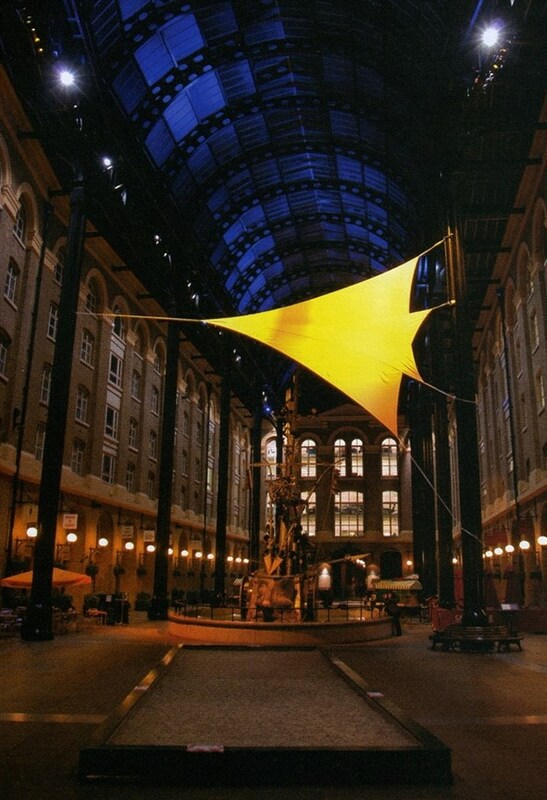 For Hay's Galleria, we designed the sails to produce an abstract form of a tea clipper ship with its sails. 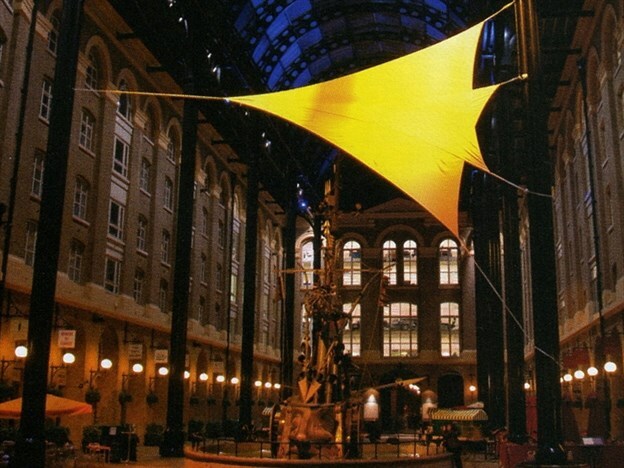 With colour projections onto the fabric, these two sails were fixed into place by tying them to the existing columns.